2019/20 Budget: Will the budget benefit the lives of Hong Kong people and local businesses? Mr Chan is a Certified Public Accountant. 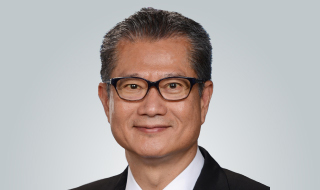 He is a former President of the Hong Kong Institute of Certified Public Accountants and a former Chairman of The Association of Chartered Certified Accountants, Hong Kong. Before joining the Government, Mr Chan held a number of public service positions including member of the Legislative Council; Chairman of Legal Aid Services Council; Board Member of the West Kowloon Cultural District Authority; non-official member of the Strategic Development Commission and Council Member of the Chinese University of Hong Kong. Mr Chan served as Secretary for Development of the Hong Kong Special Administrative Region Government from July 2012 to January 2017. He was appointed Financial Secretary on 16 January, 2017. Agnes Chan is managing partner at EY for Hong Kong and Macau. For the past 30 years, she has accumulated experience in providing tax and business advisory services to a broad range of local and multinational organisations. Her scope of expertise includes tax restructuring for initial public offerings (IPOs); regional and cross border tax planning; corporate restructuring; and tax efficient supply chain management planning. In 2011, Ms Chan was elected as a member of the Election Committee (Accountancy Subsector) to elect the Chief Executive of Hong Kong. In 2012 she received the Best in Tax Individual Award at Euromoney Legal Media Group’s Asian Women in Business Law Awards. Ms Chan was also named one of the Leading Women in Business Law in Hong Kong by the Guide to the World’s Leading Women in Business Law in 2014 and 2015. She was the first leader outside Mainland China to be named China Economic Woman of the Year (2012), and in 2015 she was named one of China’s Top 10 Outstanding Female Entrepreneurs by the China Outstanding Female Entrepreneurs Association (COFEA). She was previously named in their 2011 list of 100 female entrepreneurs. In 2016, Ms Chan was inducted as an Honoree of the Beta Gamma Sigma (BGS) HKUST Chapter. Ms Chan is currently a member of the Exchange Fund Advisory Committee of the Hong Kong Monetary Authority; non-executive director of the Securities and Futures Commission, and a member of the Users’ Committee for the Inland Revenue Department. Shirley Yuen took up the post of CEO of the Hong Kong General Chamber of Commerce on 8 August, 2011. Prior to this position, she was deputy secretary for the Transport and Housing Bureau, and was in charge of public transport policy between 2008-2010. Miss Yuen worked for the Hong Kong Government for 20 years prior to joining the Chamber. She served mostly in the commerce and trade policy area, taking part in numerous international negotiations, and was directly involved in the formulation of CEPA (Closer Economic Partnership Arrangement with the Mainland). She also held various other positions including deputy director of Administration, administrative assistant to the Financial Secretary, and deputy director (Sydney), Hong Kong Economic & Trade Office. Miss Yuen received a Bachelor of Arts Degree in Experimental Psychology (First Class Honours) from Oxford University. 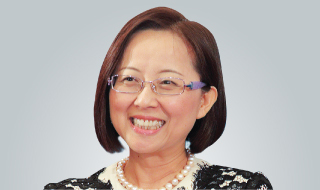 As the CEO of HKGCC, Miss Yuen sits on various boards and government committees, which include: GS1 HK (board member); Hong Kong International Arbitration Centre (council member); Business Facilitation Advisory Committee (member); Hong Kong Business Ethics Development Advisory Committee (member); International Business Committee (member) and Advisory Committee on Promotion of Arbitration (member). 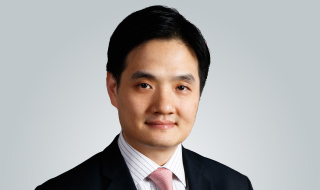 Stephen Wong received a BA degree in Economics from the University of Chicago, Phi Beta Kappa, and an MA degree in East Asian Studies from Yale University. Since then, he has worked for a number of global financial institutions, including as an executive director for UBS (London), and managing director at RBS. Mr Wong’s public service work includes various advisory roles appointed by the Hong Kong Government, including board member for the Financial Services Development Council, member of the Task Force on Land Supply, Sub-committee Co-opt member of the Sustainable Development Council, member of the Investment Committee of the Beat Drugs Fund, member of the Investment Sub-Committee of the Housing Authority and co-opted member of SIE Fund. He is also the chairman of the Clean Air Network, vice chairman of the Budgets and Allocations Committee of the Community Chest, and executive committee member of the Hong Kong Council of Social Service. Mr Wong is an Adjunct Associate Professor at Hong Kong University SPACE for the Institute for China Business. Yonden Lhatoo started his journalism career in print, covering the far-reaching changes Hong Kong went through before and during the city’s handover to China, as a senior newspaper reporter. Mr Lhatoo switched to broadcast journalism after the transfer of sovereignty in 1997 and worked as a television news anchor and editor for nearly two decades. He was the main anchor and editor-in-chief of ATV’s English news department until his return to print in April 2015, when he joined the South China Morning Post as senior editor. Mr Lhatoo was promoted to chief news editor in April 2017. Apart from his editing duties, he regularly moderates forums and seminars on current affairs for the Post, and has extensive experience covering Hong Kong’s economic, political and social landscape. He has publicly written, spoken and taught about Hong Kong issues, but is still trying to figure it all out. He also enjoys writing a weekly column which often raises eyebrows or sparks heated discussions on the internet because he doesn’t hesitate to tell it like it is. Ms Olga Wong is the Hong Kong news editor of the South China Morning Post. She has been supervising coverage on major government policies including health care, housing, environment, ageing, social welfare and education. In recent years, she has also looked into the effects of the fast greying population on the city’s fiscal health. In her most recent article, Ms Wong examined whether Hong Kong is facing a structural surplus instead of a chronic deficit as claimed by the previous administration. Copyright©2019 South China Morning Post Publishers Ltd. All rights reserved.